Whether you’re in middle school or a professional adult in the workplace, it’s never a bad time to start working toward a straighter smile with the help of orthodontics. After all, braces offer patients a variety of valuable benefits – they can improve your oral health, relieve pain from a misaligned bite or aching jaw, eliminate problems you’ve had with eating or speaking properly, and of course, improve the appearance of your teeth. 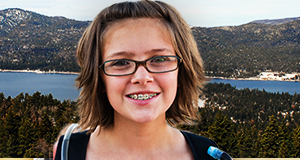 Here in the Big Bear lake area, Dr. Joel Bickler will be happy to offer orthodontic guidance and treatment for your whole family. Our treatment plans are always personalized to fit your unique needs and preferences so that you can be sure to have a comfortable experience and beautiful results to look forward to. 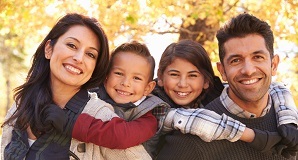 Anyone with crooked teeth or a misaligned bite can benefit from orthodontics, and while children are typically the candidates for traditional metal braces, adults can also benefit. They consist of wires and brackets that are attached to the outside surfaces of teeth in order to control their movement. Rubber bands may also be attached to the brackets and wires, which can be customized to match the patient’s color preferences. After the initial placement, patients will return to see Dr. Bickler for brief check-ups, during which the wires will be tightened to ensure that your smile is moving into its ideal alignment safely and effectively. We’ll also be sure to provide education regarding good food choices, oral hygiene techniques, and other guidelines that can help make your orthodontic experience that much smoother. Of course, adult patients may be interested in a more discreet, sophisticated orthodontic option. Thankfully, ClearCorrect makes the process of achieving your ideal smile easy and seamless. We’ll provide you with a series of clear, personalized aligners; all you have to do is wear each one for a predetermined amount of time before switching to the next in the set. Periodic check-ups will also help Dr. Bickler confirm that your treatment is progressing smoothly. The aligners are virtually invisible and easily removable, meaning that you won’t have to make any inconvenient changes to your diet or oral hygiene routine to accommodate them. Before you know it, you’ll have achieved a straighter, healthier smile – no metal required! Contact our Big Bear City, CA office today to schedule your first appointment! Dr. Bickler and his team are dedicated to providing patients of all ages with friendly, comprehensive dental care that leaves their smiles both looking and feeling great. We want to make a difference in your oral health as well.